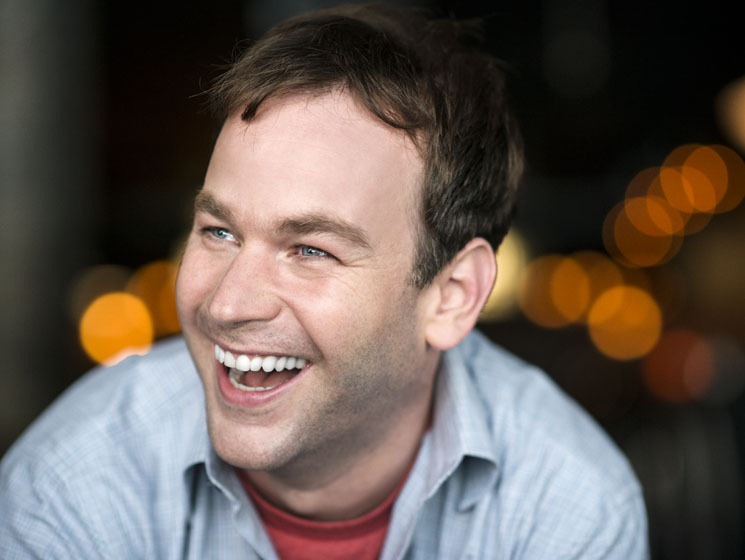 A renowned long-form storytelling comedian, Mike Birbiglia went all in for The New One, a sprawling tale about how he and his wife tried to conceive a child, framed around the cozy symbolism of a couch. His fans hung on every word, laughing and engaging emotionally with the thirty-something, coming-of-age story. Birbiglia decided to sit this saga on a couch, viewing this particular piece of furniture as a kind of gauge for where you are in life. If you're college-aged or have a few roommates, a ratty couch discovered on the side of the road reflects your exploratory independence. As you enter the workforce and/or co-exist with a life partner, you become more discerning about your couch quality and, in Birbiglia's eyes, it becomes this thing you throw your body into for a respite from life. And so, in this new show, his couch is a recurring spectre, as Birbiglia outlines how life as an adult is really this increasingly uncomfortable thing. Fans who know of how self-harming his sleepwalking illness is will be genuinely shocked by the latest litany of medical ailments Birbiglia is enduring. He mentions them, including a correctional procedure he needed in order to better his odds of conceiving a child, to highlight his physiological flaws and how he's been able to transcend them. A plainly sweet, emotionally wrenching performance, Birbiglia is so comedically matter-of-fact about certain aspects of The New One, it almost disarms the dramatic tension of the piece. There's also a chance it might flow better with some minor tinkering (the prostitute story, for instance, seems a little indulgent). But there's no denying the transformative power of The New One, another riveting dispatch from Mike Birbiglia, one of our greatest living writers.